Hamad I Mohammed/Reuters; Middle East Monitor via Reuters; Matt Dunham – WPA Pool/Getty ImagesA composite image of Saudi Crown Prince Mohammed bin Salman, Khashoggi, and Erdogan. The Turkish president has long emphasised the importance of national security. 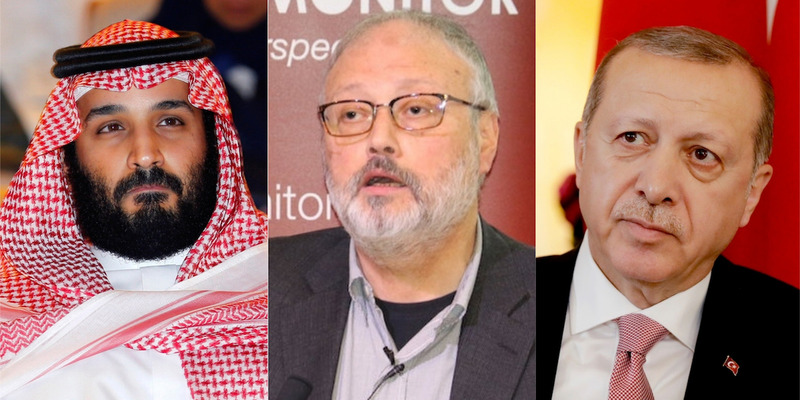 Experts say he most likely saw Khashoggi’s killing in Istanbul as a personal affront. Senators also introduced a bipartisan legislation on the same day that would suspend the sale of weapons to Riyadh and block the refuelling of Saudi coalition warplanes involved in the deadly civil war in Yemen.